Location: A river arising from three streams in the Mountains of Shadow, flowing southeast to the Crossings of Teiglin, then skirting the southern edge of the Forest of Brethil until it joins the Sirion at Nivrim; its tributaries are Glithui, Malduin, and Celebros. Brethil and its environs, showing the course of the Teiglin. 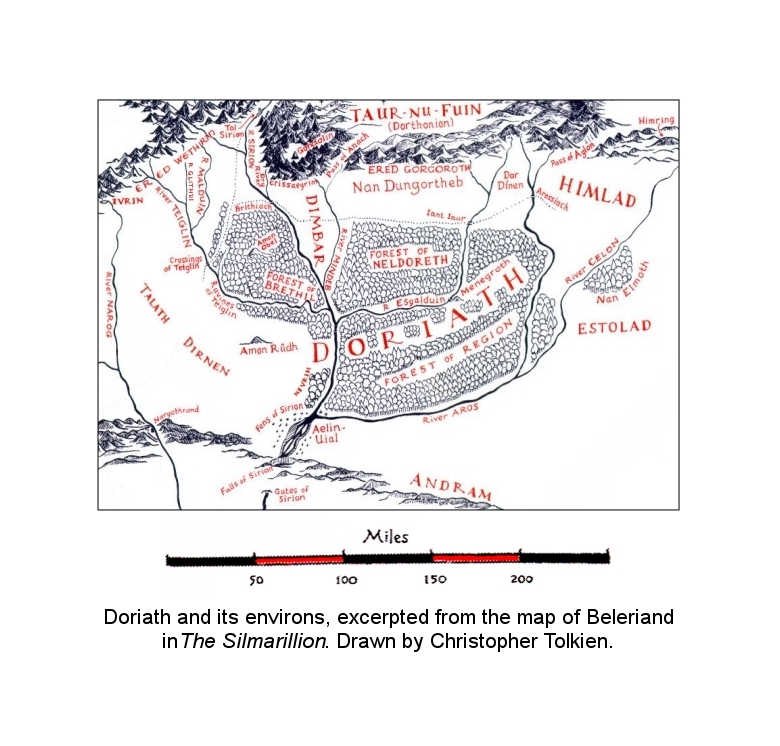 Now the great and fair country of Beleriand lay on either side of the mighty river Sirion.... And following Sirion from north to south there lay upon the right hand in West Beleriand the Forest of Brethil between Sirion and Teiglin, and then the realm of Nargothrond, between Teiglin and Narog. Detail of the Crossings of Teiglin and the Ravines of Teiglin. Now the river Teiglin ran in this manner. 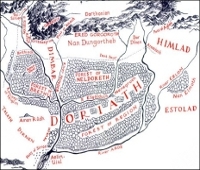 It flowed down from Ered Wethrin swift as Narog, but at first between low shores, until after the Crossings, gathering power from other streams, it clove a way through the feet of the highlands upon which stood the Forest of Brethil. Thereafter it ran in deep ravines, whose great sides were like walls of rock, but pent at the bottom the waters flowed with great force and noise. And... one of these gorges, by no means the deepest, but the narrowest, [lay] just north of the inflow of Celebros. 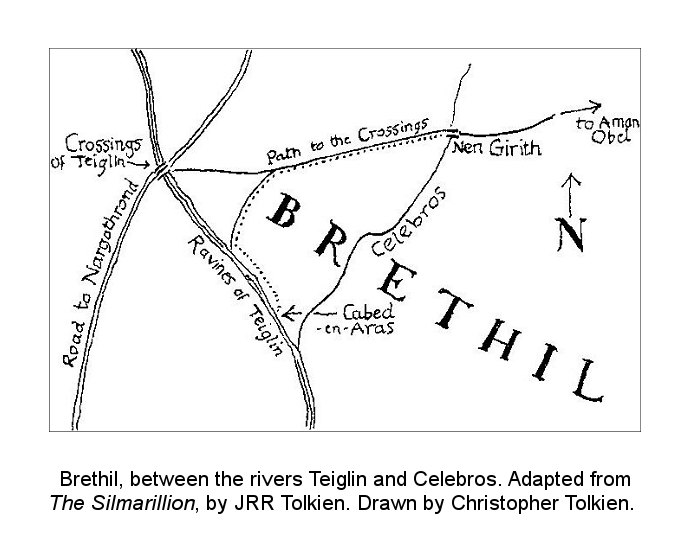 1 The river Glithui is not mentioned in The Silmarillion and is not named on the map, though it is shown: a tributary of the Teiglin joining that river some way north of the inflowing of the Malduin.